Whilst it isn't the stylish affair it used to be, travelling doesn't have to be an endless parade of misery some people think it is. Yes, with the perfect combination luggage, tech and accessories, your voyage around the globe, whether for business or pleasure, can be a relatively painless experience. We're alway on the hunt for the best gear here at T3, so this guide will offer you the best of the best, the cream of the crop, when it comes to travelling comfortably. Looking for some inspiration on where to go? From luggage big enough to hold all your belongings, to the best noise cancelling headphones - this guide has it all. If you have trouble getting to sleep, check out our ear plugs buying guide, and if your company has only stumped up for economy seat, make sure you read our buying guide to the best travel pillows. This is the kit to keep you comfortable, calm, and most important of all, stylish, wherever you decide to travel. One of the most import things to consider when travelling is what luggage to take. At T3, we always favour travelling light, so if you're planning a weekend trip, a backpack, like the Tumi Alpha Bravo Knox, would be perfect. Tumi is known for its quality, durability, and all-around sturdiness, so its bags are perfect for travelling with. If you're travelling for longer than a weekend, we'd either recommend a backpack paired with a holdall, like the Mulberry Scotchgrain Clipper, or a some cabin luggage, like the Ted Baker Amithia. The holdall and backpack approach is my personal favourite method. It means you don't have everything packed into one, larger bag (so items are easier to find), but you still have that extra storage space available. Alternatively, a wheeled cabin case is better if you don't have the strength to carry everything you're travelling with, and prefer a less cluttered approach. If you're going away for more than a week you'll want a full sized suitcase, like the Samsonite Flux, or the Globe-Trotter (pictured above). The medium-sized suitcase ideal for longer trips away, with a hard polypropylene shell and TSA-ready combi locks. The big draw here is that, rather unusually for a hard case, it is expandable on all sides, allowing for that extra bit of wriggle room when returning home with those holiday souvenirs. We find when it comes to remaining calm while travelling, the small things really do make a difference. For example, when going through airport security getting your laptop out of your bag can be a hassle (don't get us started about putting it back in), so take time to read our buyings guides to make sure you select the best luggage to suit you. Knowing the little things such as which month to book or which day of the week to travel, can save you money and stress when making holiday arrangements. This is where a few holiday booking tips can come in really handy. How do I bag myself an affordable getaway for 2019, I hear you ask? If there's one essential piece of technology you need to take travelling (aside from your smartphone), it's a pair of noise cancelling headphones. For its mix of great sound, noise blocking, style and useful motion-sensing tech, our current favourite pair of cans are the Bowers & Wilkins' PX. ANC cans will stop you having your music, podcasts and audiobooks ruined by plane/train/car noise, allowing you to listen at lower volumes, and, potentially preserving your hearing. Getting a flight or hotel upgrade isn't easy but it can be done! Our man Jamie Carter explains the best way to move from Economy to Business or even Business to First! If all else fails, we've also provided tips on how you can upgrade your flight, from a travel pillow to noise cancelling headphones. Frequent flyer points have been around for decades, but only in the past few years have airlines gotten involved in spending programs that give rewards to shoppers even if they barely fly with the airline at all. Is collecting air miles a sensible way to get money off flights? Are airline credit cards worth the bother? They definitely can be, but only if you properly investigate the air miles market, and spend very wisely indeed. Is a passport cover a necessity? In practical terms most passport covers can actually be more hindrance than a help, but they're a must-have for frequent travellers who don't want to travel with a passport and see all the gold lettering on the front rub-off. That happens all too quickly if you leave your passport naked. However, unless you opt for a travel organiser, try not to cover your passport in something bulky that makes it hard to put in your pocket. That does, however, make them harder to lose. Whether you're travelling for business or leisure, a travel wallet is a handy way to keep all of your documents in one place. With a simple flick through the pockets, you can tick off your passport, boarding pass, and other necessary items, leaving you to breeze through the airport worry-free. Our pick is the Travel Wallet from Nordic outside brand Fjallraven. Made from the brand's own blend of incredibly durable G-1000 fabric, there's enough pockets inside fo passports, boarding passes, cash, cards and even a pen. Every traveller needs a good toiletry bag, like the rather handsome Filson Canvas wash bag above. You may be the type that can get by on just a toothbrush and a tube of toothpaste, but the accessories you need for more than a few days away quickly mount up. Shampoo and body wash is increasingly provided by hotels these days, but you still need to travel with your own deodorant, razor, shaving cream, moisturiser, creams, gels, medication, tablets … the list goes on and on. If you're travelling somewhere picturesque, you'll want to take a decent camera to take pictures with, because while smartphone cameras are good, they still can't quite match the real thing. If you're wanting to take some seriously high quality snaps, we'd recommend the Sony A9. The 24.2 megapixel full-frame sensor is perfect for sports, wildlife or action photography. It's just the perfect all-rounder. The Sony is hefty though, so my personal favourite camera for travelling is the Leica Q. Not only is it a stunning design, it's also capable of taking some amazing pictures. If you don't fancy a pair of noise cancelling headphones but still want to block out the outside world, why not try a pair of ear plugs instead? Ear plugs are not only easy to get hold of, but they're also pretty affordable, so they're perfect if you're travelling through multiple countries where an expensive pair of headphones might get lost or stolen. Our favourites are the Isolate Revolutionary Solid Aluminium Ear Plugs. The metal design looks premium, they come with three different ear foams which mean they can fit almost any ear, and they also have a convenient carry pouch included. Just like marmite, there are two trains of thought when it comes to travel pillows – you either love them or hate them. There is no in between. Personally, I don't like the extra clutter, but there's still the odd moment I've been stuck in the middle seat, in economy, on my way back from MWC, cursing myself for not buying one in duty free. If you've got a journey coming up you know you're not going to enjoy, or hate flying, then the best way to deal with any trip is to sleep through it. Whether you’re travelling by car, train or plane; it’s rare that we ever find napping during transit refreshing. More often than not you wake up disoriented, disgruntled and with a sore neck. However, there are a whole host of funky and functional travel pillows on the market that will keep you comfy from door to door. Our favourite travel pillow is the Go Travel Ultimate Memory Pillow, its classic U-shape supports the neck and adds a touch of luxury with its memory foam filling. Frequent travellers will know the tale of trying to find a decent cup of coffee on the go all too well. Too often are we forced to pay inflated service station prices for our high-street coffee shop favourites, shell out a ridiculous amount for a sub-par brew from the snack trolley, or — perish the thought — go without. Well no more, we say. Enter: the travel coffee mug. Whether you’re trying to save a bit (or a lot) of dosh on overpriced takeaway coffees, or you just don’t trust anyone else to make you a decent cup is by the by. If you love your joe and you’re always on the move, a travel mug is the natural choice. Our favourite is the Contigo Autoseal, which is capable of keeping hot drinks hot for 4 hours, and cold drinks cold for a whopping 12. If you're more of a cold drink, err, drinker, then maybe a reusable water bottle is more for you. They make a great deal of sense from both an economic and an environmental point of view. If you want a cheap but cheerful leak-proof and fuss-free reusable water bottle, we think the Thermos Intak is the one to go for. And if you want something a bit more stylish, we suggest you go with the S'well White Marble Drinking Bottle. Everyone loves a good holiday, but one thing we often sacrifice when on our travels is sleep. Whether it’s down to jet lag, or simply the fact you don’t settle well when not in your own bed, it can be tricky to get the right amount of sleep to ensure you’re not too cranky to actually enjoy your time away. If you’re going backpacking, this might be an issue you’ve thought about. If you’re always on the road, and not spending much time in each destination, you’ll want to spend every waking moment exploring as much as you can, which means getting in those 40 winks wherever you can – on planes, trains, in cars, or even on the airport floor when your flight is inevitably delayed. If you're traveling outside the UK chances are you'll need a travel adapter. We've collected the very best here, so you don't need have to get an overpriced one at the airport. It’s far more cost-effective to purchase a multi-travel adapter, as these nifty devices have you sorted for a huge range of countries, great if you’re frequently flying to different corners of the globe. Whether you’re going to be battling your way through the Australian Outback, rambling through rural China or ascending the Amazon Rainforest in Brazil, there’s one item that you can’t forget to add to your kit, and that’s a travel towel. It’s quite an unassuming item, but a necessary piece of equipment that you’ll be thankful for on the rare occasion where you can grab a shower or rinse yourself off in a waterfall (perfectly possible). Travel towels are lightweight, fast drying, and smaller than regular towels. They’re also highly absorbent, with the capacity to soak up water far quicker. Many have antibacterial properties too, so your towel drying experience will be damp-free, smell-free and as pleasant as showering in the middle of nowhere can be. The best packing cubes can make cramming your suitcase and unpacking it on the other side a breeze, and we’ve got a list of them right here for your consideration. But we’re getting ahead of ourselves: why do you need packing cubes, anyway? Well, it’s one of those rare items that actually does make life that much easier. You don’t have to unpack a squashed-flat pile of clothes only to have to re-roll or re-fold them ready to fit into the hotel chest of drawers – simply pack once and lift the whole thing out. When it does come to travel, having your own portable cot means that you needn’t worry about whether that Airbnb has all the necessaries or that hotel webpage is up to date, and it also gives baby a familiar place to sleep, eliminating one more reason for them to get lairy while you’re on the road. What’s not to love about long-haul flights? Puffy eyes, dry skin, chapped lips and cankles for starters. If that wasn’t enough to deter you from a career in aviation, know that flying also causes oxidative stress - hello free radicals and hastened ageing. You may have spent two weeks in Miami quaffing pressed juice and eating kale, but a few hours on a long-haul and all that good will be undone before you can say ‘vay-cay’. Humans aren’t built to fly, so our skin struggles with the changes of altitude and humidity; but we can offer plenty by way of magical potions to counteract the effects of a long-haul flight. If you're here to find out how to get a free upgrade to business class, our advice is simple; get a time machine. 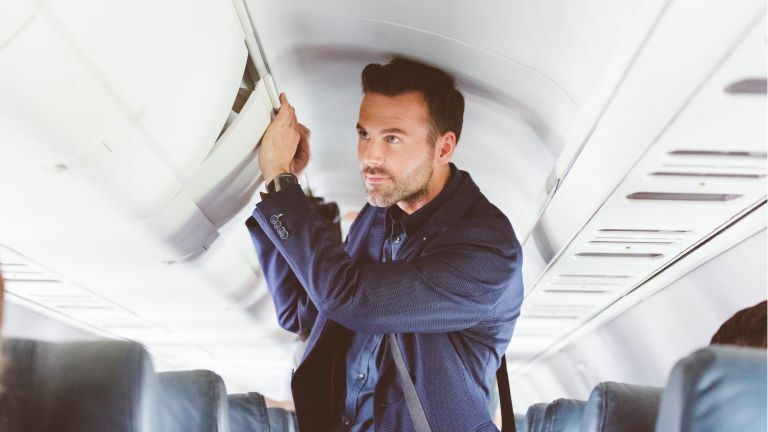 The days of dressing smartly and getting yourself into front of the plane are over, but there are many things you can do to beat the system and get yourself through airports faster. Know your enemy. There are three hurdles at all airports than passengers have to beat – the check-in procedure, the security line, and the boarding gate. Ever-increasing security measures mean a lot of frustrating queueing. So how can travellers get through airports more quickly? Read our guide! Thanks to nifty storage solutions, tech and a little know-how, it’s possible to travel light, while making sure you have everything you need in the event of a fashion/weather/real emergency. The road trip, whether it’s a day out to Brighton, a weekend jaunt to the Cotswolds or a week crossing the Alps, is an adventure, a holiday and an excuse to drive on some fun roads all rolled into one. It’s also time to be spent with your mates (and your car), and an opportunity to get reacquainted with your favourites albums, or introduced to some new podcasts. Europe has everything from sprawling cities and quaint villages to mountains and beaches, and we think you can see it all with just one rucksack's worth of stuff. Travelling light makes sense. No checking-in, no bag drops, and no waits at carousels. No lugging a backpack through unknown and confusing airports and train stations, taxi ranks and bus stops. Travelling is supposed to be about freedom and spontaneity, but if you're lugging around a suitcase with 20kg of ‘essentials’, the chances are that the actual travelling part of your trip is pure drudgery.